Many of us have used Selenium grid to run selenium tests in multiple machine to achieve concurrency. But the same is not so cost effective as we need to have many physical machines presents with us. To solve this problem of acquiring physical machine and adding to cost, organization have slowly started to move in to cloud. 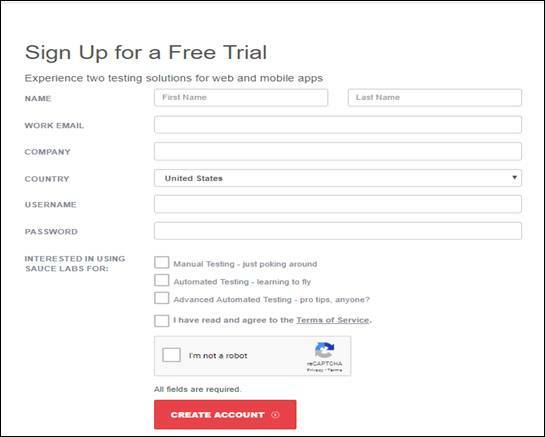 Sauce Labs is one such service provider in cloud that has one of the largest grid for executing selenium and Appium test cases. Sauce labs supports multiple operating systems, browsers, mobile emulators, simulators and real devices even. 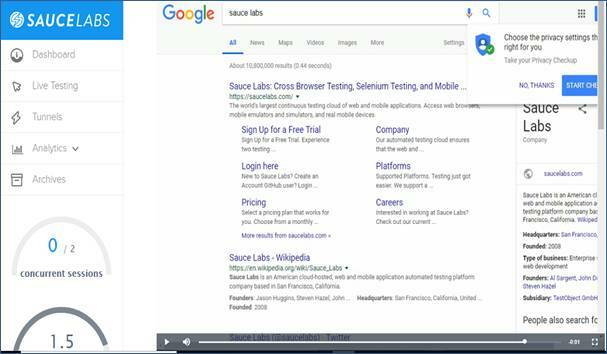 As per Sauce Labs Official site they are supporting more than 800 combinations of browsers and operating systems along with more than 200 emulators and simulators support. 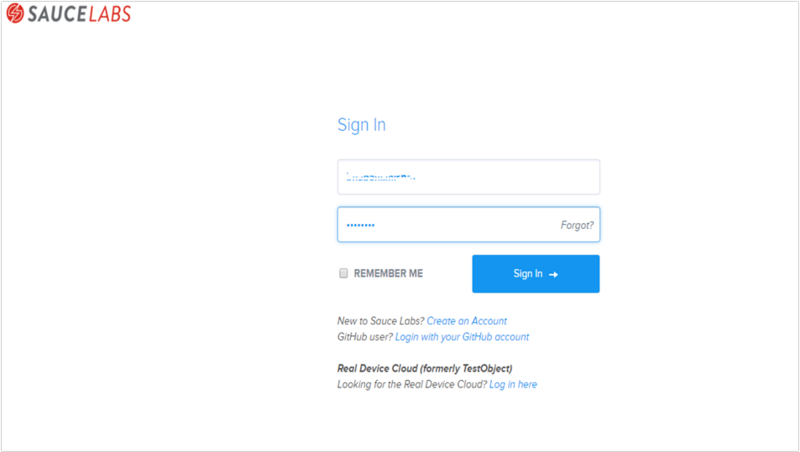 Log in to Sauce Labs with the credentials provided during filling of the form. Make sure you are navigated to dashboard page. Now we will try to create an equivalent script that can run in sauce cloud. For this create another class and define three final strings. The User Name string will take the user name we have used to log in. The access key can be found by navigating to my account where a password protected access key will be present. Click on show button and enter the password to view the access key. The next is we need to form the URL. Since we are going to run our script in cloud we will not be needing the local web driver instance and the path to driver. We need to modify this such that our script should run in sauce cloud. In the above lines we have defined the capabilities to be used as chrome browser and platform to be used as Windows 10. 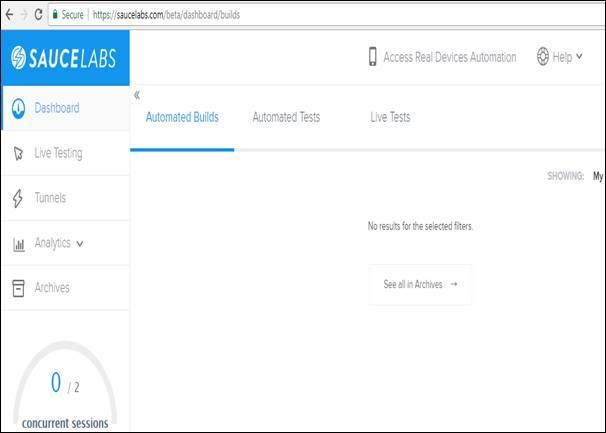 Sauce labs has also many other added advantages in Testing Framework like Testing which we as Automated Web Testing Services providers will discuss in other articles.